BC Hands & Voices was thrilled to award our first “Lifetime Honorary Membership” to Susan Lane at a celebration of her recent retirement in March 2015. Many of you may know of Susan, and even those of you who haven’t had the opportunity to meet her have likely been positively affected by her hard work. She has left a wonderful legacy for families of children who are deaf and hard of hearing in British Columbia. In 1983, Susan started the Elks Auditory Rehabilitation Centre (now the BC Family Hearing Resource Society), a program that continues to provide education, support, and resources to families with young deaf and hard of hearing children. She was ahead of her time – from the beginning, her program was family-centred and offered a range of communication options. Susan recognized that there was no single communication approach that would work successfully for all children and their families. 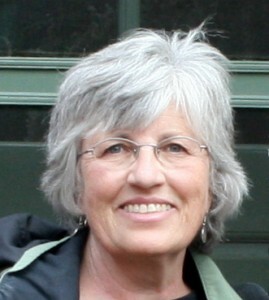 Susan served as the executive director of BC Family Hearing Resource Society for 25 years. During that time, the program grew to serve children and families all around our province, and established advanced professional development workshops for speech-language pathologists and audiologists. Susan also co-authored the book “My Turn To Learn: A Guide for Parents of Babies and Young Children with Hearing Loss.” This book has been translated into five languages, and is given to the family of every new baby identified with a hearing loss in BC. In 2008, Susan left BC Family Hearing Resource Society to take up the new challenge of helping to establish a newborn hearing screening and intervention program in BC. Given her extensive experience and knowledge in working with families of young children with hearing loss, she was the ideal person to become the first Provincial Intervention Coordinator with the BC Early Hearing Program. She was keenly aware of the importance of both early intervention and parent-to-parent support for families of newly identified babies, and worked tirelessly to implement these parts of the new program. Susan considered it vitally important to gather input from stakeholders – and this included parents. As part of her role in developing the BC Early Hearing Program, she formed a Parent Advisory Group. She asked for parents’ thoughts, ideas, suggestions, and feedback on all parts of the program – and valued that input. When the Parent Advisory Group recommended starting a Guide By Your Side program (which also meant starting a chapter of Hands & Voices), Susan supported us every step of the way. She believed in us, and paved the way for us to become parent leaders, empowering us to help other families and to have a voice within the system. Susan also recognized the importance of deaf and hard of hearing role models for families of young children with hearing loss. Most recently, she was instrumental in creating the DVD “Nice to Meet You”, to introduce parents to Deaf and Hard of Hearing individuals. In 2013, Susan was awarded the BC Community Achievement Award recognizing her lifetime of work which has made “an extraordinary difference in the lives of infants and youth with hearing loss”. Here at BC Hands & Voices, we wholeheartedly agree that she has made an extraordinary difference, but we think that difference extends to parents as well. So on behalf of all of us parents, we want to say thank you, Susan, for being our champion. You have given so much more than you realize. We celebrate your legacy that will live on in the countless parents and professionals you have touched over the years. This entry was posted in Administration, Articles, Families to Families, Featured. Bookmark the permalink. Follow any comments here with the RSS feed for this post.